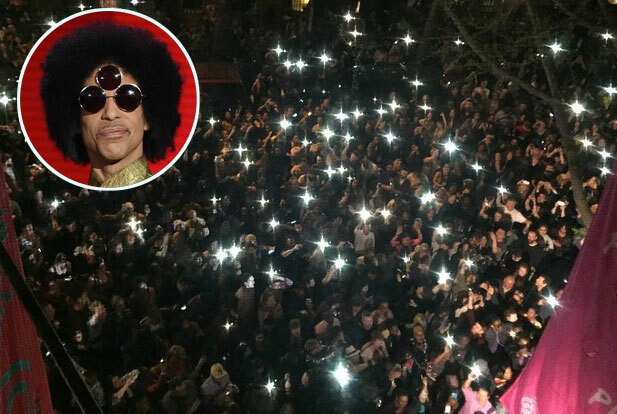 All of Prince’s greatest hits were played for the roughly 1,000 fans in attendance, with Lee eulogizing the singer from the stoop of his 40 Acres film studio headquarters. “There’s a big party in heaven tonight,” he proclaimed. Meanwhile, in Harlem, the famous Apollo Theater changed its marquee in honor of Prince. Hundreds of fans paid their respects at the venue where the musician performed several times throughout his career, while a PA system blasted his songs for everyone on 125th street to hear. Prince was found dead on Thursday at his Paisley Park compound in Minnesota. Local medical examiners will perform an autopsy on Friday. Prince reportedly had received treatment for a drug overdose earlier in the week.